September | 2014 | The Glyn Watkins Show Page. 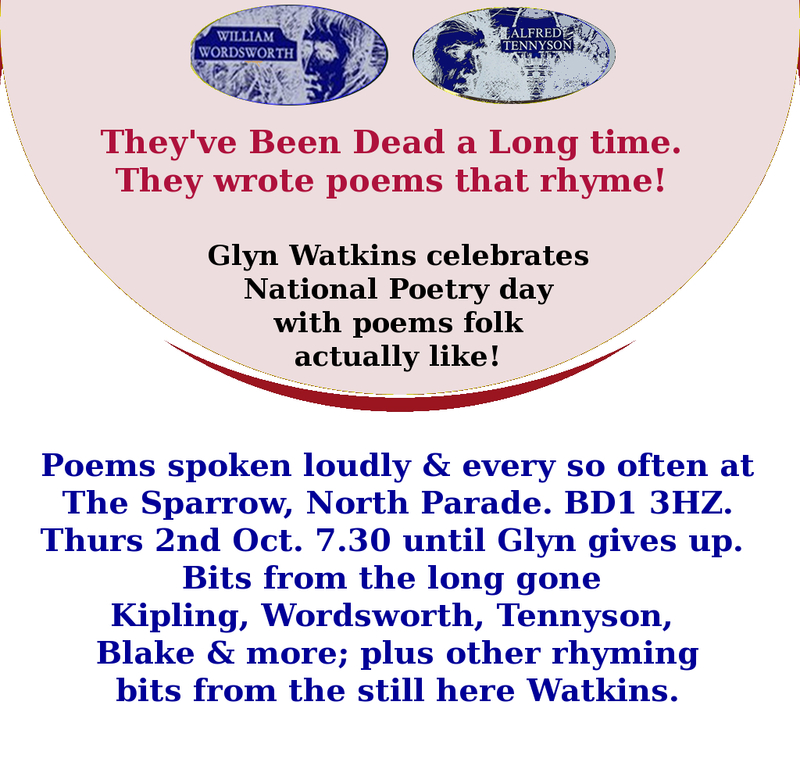 Glyn Watkins’ They’ve Been Dead a Long time – They wrote poems that rhyme! National Poetry Day Show.Show. Blake & more; plus the still here Watkins.